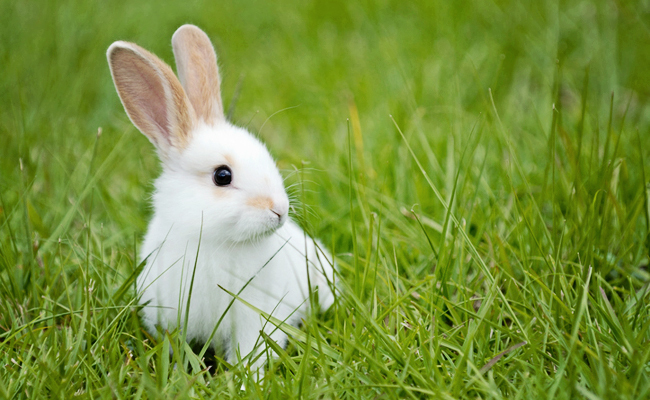 Lawmakers in California have just taken a big step towards creating a world with cruelty-free beauty by passing legislation that bans animal testing for cosmetics. The California Cruelty-Free Cosmetics Act (SB 1249), which was just passed unanimously by the General Assembly with a vote of 80-0, will ban the sale of products that have been tested themselves, or had ingredients tested on animals in the state. “I’m proud of California lawmakers for moving science, industry, and ethics forward today. Cruelty-free cosmetics are good for business, safe for humans, and don’t harm animals,” said Senator Galgiani, who authored the bill. Nearly 160,000 Care2 members signed a petition in support of the bill. The petition was delivered at the end of August. The bill now goes to Governor Jerry Brown for a signature, and if he signs it, it will go into effect January 1, 2020, making California will be the first state in the nation to take such a progressive step to end the suffering of animals in labs for nothing more than cosmetics. Supporters are optimistic that he’ll sign it, and also hope it will have widespread implications that will push even more areas to end cruel, unnecessary and unreliable tests on animals and instead move to more reliable, cost-effective and ethical alternatives. Fortunately for animals who have become victims of this industry, the world is continuing to turn against their use. Already, dozens of nations have passed bans like this, while hundreds of companies have pledged not to test their products and ingredients on animals and have successfully proven we can have beauty without cruelty. While this change in California would be a big one to celebrate, animal advocates are also still pushing for a change like this to go nationwide by getting the Humane Cosmetics Act passed, which would make it illegal to conduct or commission animal testing for cosmetics after a one year phase in, which will be followed by a ban on the interstate sale of products and ingredients that were made using animal testing after three years. Not only would passing this legislation be a historic victory for animals in labs, it would be good for us, and good for businesses who won’t otherwise be able to compete in global marketplace where doors continue to close on products that have been tested on animals. You can show your support for ending this cruel practice throughout the country by signing and sharing the petition urging Congress to pass the Humane Cosmetics Act. To find cruelty-free personal care products and cosmetics already on the market that have been certified by the Leaping Bunny program, check out Cruelty Free International. Always great to see that the petitions we sign are making a difference. I hope to see more of these stories in the future. I wonder how they will be testing cosmetics now - I would love to see a follow-up article on alternatives to animal testing for cosmetics. It would be a great article to share with friends to convince them that cruelty-free testing is the way to go! This is brilliant, lets hope it's banned in more places. Finally some compassion for the animals. 258,150 SUPPORTERS 260,000 GOAL "